While summer is typically glorified for its easygoing nature and vacation promises, those with kids can attest that the season can also sometimes seem never-ending. Just because kids are out of school for a few months doesn’t mean their energy levels have wavered, and it’s a full-time job keeping them entertained. Whether you’re baby-sitting for a few hours or are a veteran parent, we’ve all wanted to put kids in front of a screen in moments of exhaustion. While there is a time and place for TV, iPad games and computer programs, we’re sharing seven screen-free boredom busters to keep kids active and entertained this summer. A favorite pastime to express creativity and to make something new, arts and crafts time keeps kids busy, inspired and away from screens. Create a bird feeder with leftover household items, such as an empty roll of toilet paper , an empty milk carton or things lying around your pantry, such as popsicle sticks and cookie cutters . Explore more arts and craft ideas for kids here , such as homemade playdough and how to paint fireworks . Perfect to enjoy all season long, gardening teaches kids about responsibility and patience. Plant flowers and plants in the backyard or if you’re tight on space, simply fill herbs in mason jars and create an indoor garden. Encourage kids to check on their garden each day and incorporate herbs and vegetables into summer meals. Create a color scavenger hunt. Color scavenger hunts are perfect for any outdoor activity—whether spending time in the backyard or taking a trip to the park. Simply use colored markers on a white paper lunch bag to scribble squares of the colors you want kids to hunt for. Pass the bags out and tell them to fill the bag with items that match the colors on the front of the bag. When everyone is finished or time is up, have kids show and tell about the items they found. Need a visual? Check out this example. Make reading fun by creating a summer book club. Invite neighborhood kids, friends and family members to participate. Whether everyone reads the same book or shares what they liked and didn’t like about their own book, a book club is a great way to get kids excited about reading and motivated to finish their book on time. Time capsules are a fun way to commemorate the season and a single year of a child’s life. Have kids collect items that represent who they are and what they like to do. Encourage them to include handwritten notes about their dreams and goals. Then make a plan to open it together one year, five years or 10 years from now! Host a family or neighborhood game night. Dust off the old board games and host a fun game night. Whether it’s just the family or the entire block, bonding over a little competition will cure the boredom blues. Up the ante by creating an Olympics-style game and include events like cards, board games, charades, sports and more! Camp outside your back door. There’s nothing like camping as a kid. Set up camp in your backyard to keep kids entertained all evening. If camping outdoors isn’t an option, create camp inside by making an indoor fort and letting kids sleep in the living room in sleeping bags. Tell stories, play games by flashlight, stargaze and eat s’mores for a night they won’t soon forget. Keeping the kids entertained on a budget? 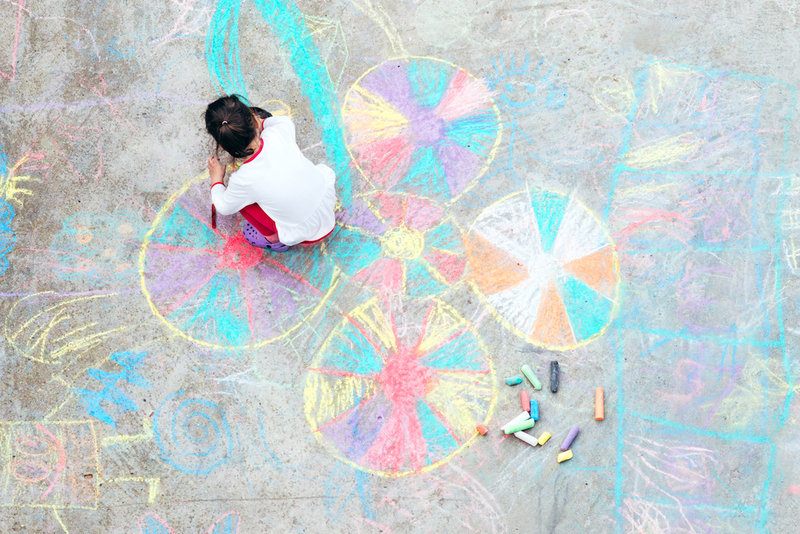 Check out these budget-friendly family fun ideas.